Performance of sword dances in the folklore of Scotland is recorded from as early as the 15th century. In Gillie Callum, the dancer crosses two swords on the ground in an “X” shape, and dances around and within the 4 quarters of it. 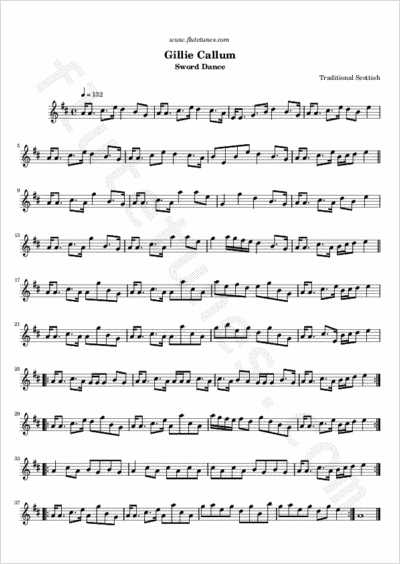 This is the tune generally played as a strathspey and reel for the Highland sword dance, and the melody is today familiar in association with a dance in which great care is taken not to displace the crossed swords during the exercise. The origins of the tune are not well documented; its earliest written record is in a manuscript dating back to 1734.